2008 project from Simian Mobile Disco, the UK duo who are one of the biggest acts in Electronic music. SMD were born from the ashes of the Experimental Electronica outfit Simian. 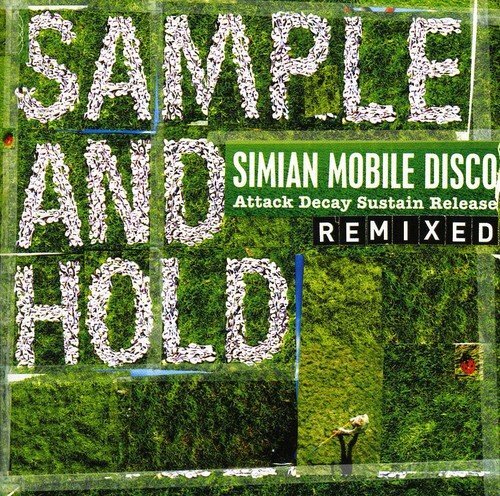 Sample & Hold contains remixes of every track from their Attack Decay Sustain Release album, which was hailed as one of the best of it's genre in 2007 by fans and critics alike. The mixes were handled by the likes of Simon Baker, Oscillation and Beyond the Wizard's Sleeve, bending and shaping hits such as 'I Believe' and 'Hustler'. The result is a refreshing record that breathes new life into the original. 11 tracks. Wichita. If you have any questions about this product by Wichita, contact us by completing and submitting the form below. If you are looking for a specif part number, please include it with your message.